11 1/4 L x 5 7/8 H x 2 3/4 D in. Box purse featuring a 19-th century steamboat screen printed in white and turquoise, and decorated with faux gems in aqua, amber and white. "river boat" serigraph in hand-script cursive style appears in lower left corner. 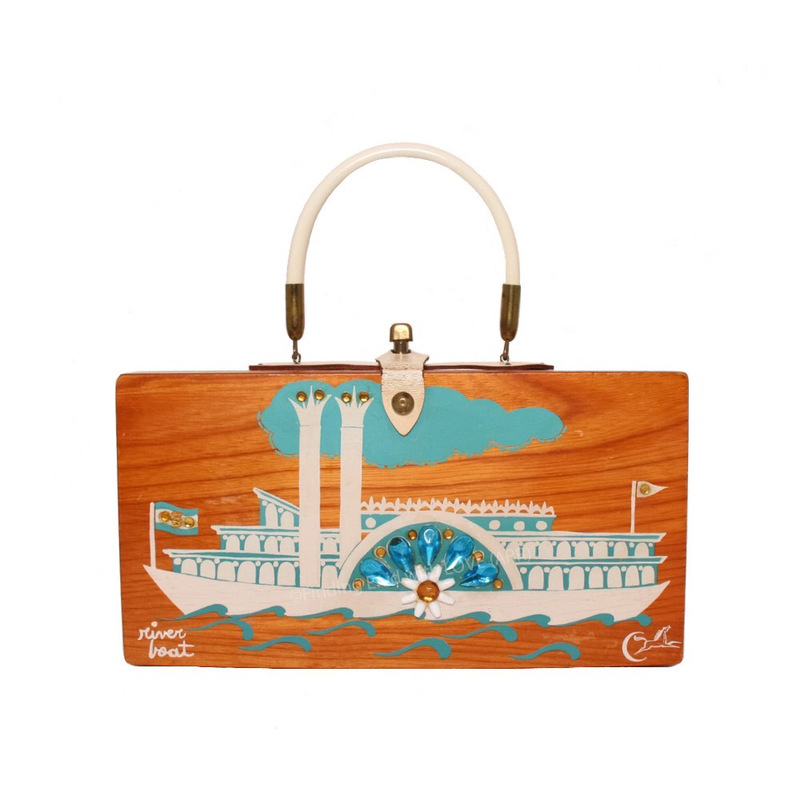 This undated Collins of Texas box bag (no ec signature or label; a Collins of Texas label) is a reproduction of a 1965 "river boat" silkscreen design by Enid Collins, created before the company was sold to Tandy Corporation. The box is slightly smaller than the 1965 version and uses a different color and jewel pattern.